I stumbled into the world of plasmids at my alma mater, the University of Stellenbosch in South Africa. My advisor, Prof. D. E. Rawlings, asked me to determine the biological implications of a very specific mutation within the origin of replication of two isogenic plasmids (Loftie-Eaton and Rawlings, 2009; Loftie-Eaton and Rawlings 2010). What started as a very simple and specific question quickly enthralled me with its true complexity. During that time I learned that you can’t understand plasmids, or anything in biology for that matter, without the context of evolution; and what better place to study plasmid evolution than at the University of Idaho alongside Dr. Eva M. Top and under the umbrellas of IBEST and BEACON. Plasmids are genetic elements that replicate separately from the bacterial chromosome. 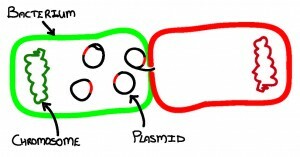 Many can transfer horizontally between diverse bacteria, often resulting in the spread of antibiotic resistance (red insert on plasmid) to pathogens (red bacterium). In case you’re not a plasmid geek like me, plasmids are generally circular (linear forms also exist) DNA entities that replicate autonomously in bacteria. The smallest plasmids are but a few hundred base pairs while the largest are over a million base pairs long (Kado et al., 1998). Based on sequence information, about half of plasmids are either self-transferable by means of conjugation or can be transferred (mobilized) by conjugative plasmids, while the remainder appear to be non-transferable (Smillie et al., 2010). Many plasmids are cryptic or do not encode any non-essential genes while others may carry genes that provide benefit to the bacterial host, allowing it to occupy and proliferate in an otherwise hostile niche (Kado et al., 1998). Depending on whether a plasmid provides its host with benefit or cost, they can be likened to symbionts or parasites, respectively, and like symbionts and parasites, they have a host range that is either narrow or broad. Projects I am currently working on are focused on a) elucidating the molecular mechanisms that evolve to permit plasmids to shift, contract or expand their host range and b) to understand how broad host range plasmids proliferate and spread in complex microbial communities. The latter will not be discussed here. Besides the fundamental nature of these questions, they are relevant to human health due to the rampant plasmid-mediated spread of antibiotic resistance amongst pathogens. When a plasmid conjugates to a naïve host it may not necessarily persist unless there is selection for its maintenance in that host. Failure to persist could be due to inefficient replication, poor partitioning or segregational loss of the plasmid during cell division, or plasmid-containing cells can simply be outcompeted by plasmid-free cells if the plasmid imposes a cost on the host. We know, however, that plasmid and host can rapidly adapt to each other while under strong selection for plasmid maintenance, after which the plasmid can continue to persist for prolonged periods even when the strong selection is removed (Bouma and Lenski, 1988; Dahlberg and Chao, 2003; Sota et al., 2010). Panels A and B in the figure below demonstrate exactly this; an initially unstable plasmid-host relationship evolved a more stable phenotype in less than 200 generations and after ~600 generations the plasmid was highly stable in that host1. Not clear from this figure (due to me not showing the full assay data) was that in the absence of antibiotic selection the ancestral plasmid tended towards extinction, however, a persistent relationship in which the plasmid was maintained in ~10% of the population due to horizontal transfer evolved within the first 100 generations (panel C, below)! Together with collaborators Sam Hunter and Haruo Suzuki I am currently working on elucidating the genetic changes behind this increase in persistence and collaborator Jose Ponciano is working on means to quantify how easy or difficult it is to switch between trajectories of persistence and extinction. While under antibiotic selection for plasmid maintenance, plasmid stability evolved rapidly and resulted in a persistent state wherein the plasmid was maintained even when the antibiotic selection was removed. (A) Plasmid stability measured over 10 days in the absence of antibiotic for evolving cultures sampled every 100 generations [G] over the course of the evolution experiment. (B) Summary of the endpoint [day 10] data for each stability assay for three replicate lineages. (C) A prediction of whether the plasmid will persist or go to extinction in the absence of antibiotic selection for its maintenance. In another experiment (different plasmid and host)2 we found that a transposon encoded on a plasmid native to that host ‘jumped’ to the introduced plasmid, which was being maintained under antibiotic selection. The result was increased stability of the introduced plasmid, even in the absence of antibiotic selection, and loss of the native plasmid. Encoded on the transposon are a toxin-antitoxin (TA) system and a resolvase, both of which we have now shown to promote plasmid stability (Loftie-Eaton et al., in prep.). Even more significant, however, was that the evolved plasmid that acquired the transposon was completely stable in other beta- and gamma-proteobacteria in which its ancestor was unstable. Thus, acquisition of a transposon encoding stability functions resulted in an apparent expansion of the plasmid’s host range and more broadly, we demonstrated the interplay and fate of genes that could arguably be labeled as “selfish”. In yet another system one of the outcomes was a deletion mutation within the plasmid’s origin of replication. Though much work remains to be done, this mutation has me extremely excited. 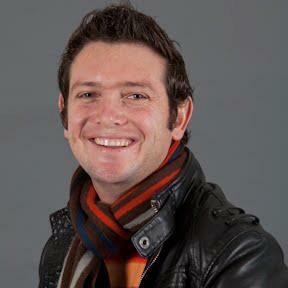 The type and location of the mutation is the same as the mutation I set out to understand during my PhD. The exciting part is that the plasmids I studied then belong to a different family and evolved in the environment, whereas here the mutations occurred during experimental evolution in the lab. Preliminary results showed that this deletion abolished the plasmid’s ability to replicate in a previously permissive host, which already is novel information, however, if my hypothesis based on my previous research withhold scrutiny, then these results will demonstrate that what we observe during experimental evolution in the lab also occurs in nature, and vice versa. Validation! ps. From the perspective of a plasmid geek this is fascinating, but from a medical perspective it’s concerning; once a multidrug resistance plasmid has established in a population it intends to stay, even if the antibiotics that initially selected for its maintenance are removed from the system! However, by accumulating more data of this kind we hope to define general patterns in the evolution of plasmid host range that can aid in the development of novel drugs to inhibit the spread and establishment of multidrug resistance plasmids. 1The experimental work was done by undergraduate Kelsie Bashford. 2Much of the experimental work was done by undergraduates Ryan Simmons and Stephen Burley as well as our lab manager Linda Rogers. Loftie-Eaton, W., and D. E. Rawlings. 2009. Comparative biology of two natural variants of the IncQ-2 family plasmids, pRAS3.1 and pRAS3.2. J Bacteriol 191:6436-6446. Loftie-Eaton, W., and D. E. Rawlings. 2010. Evolutionary competitiveness of two natural variants of the IncQ-like plasmids, pRAS3.1 and pRAS3.2. J Bacteriol 192:6182-6190. Kado, C. I. 1998. Origin and evolution of plasmids. Antonie Van Leeuwenhoek 73:117-126. Smillie, C., M. P. Garcillan-Barcia, M. V. Francia, E. P. Rocha, and F. de la Cruz. 2010. 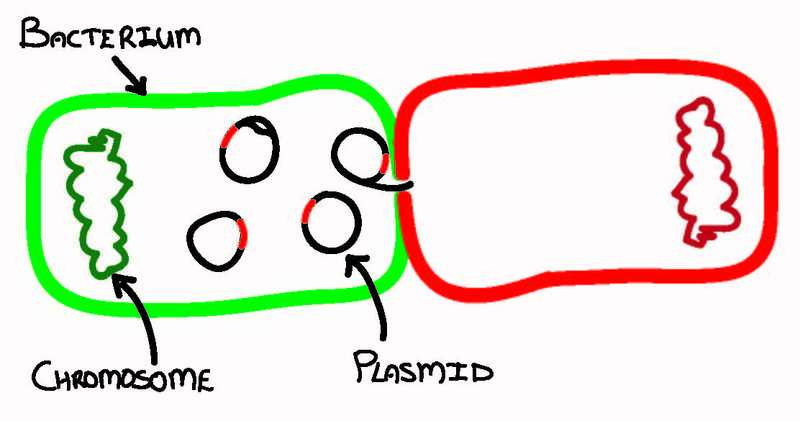 Mobility of plasmids. Microbiol Mol Biol Rev 74:434-452. Stewart, F. M., and B. R. Levin. 1977. The population biology of bacterial plasmids: a priori conditions for the existence of conjugationally transmitted factors. Genetics 87:209-228. Ponciano, J. M., L. De Gelder, E. M. Top, and P. Joyce. 2007. The population biology of bacterial plasmids: a hidden Markov model approach. Genetics 176:957-968. Bergstrom, C. T., M. Lipsitch, and B. R. Levin. 2000. Natural selection, infectious transfer and the existence conditions for bacterial plasmids. Genetics 155:1505-1519. Bouma, J. E., and R. E. Lenski. 1988. Evolution of a bacteria/plasmid association. Nature 335:351-352. Sota, M., H. Yano, H. M, Julie, G. W. Daughdrill, Z. Abdo, L. J. Forney, and E. M. Top. 2010. Shifts in the host range of a promiscuous plasmid through parallel evolution of its replication initiation protein. ISME J 4:1568-1580. Dahlberg, C., and L. Chao. 2003. Amelioration of the cost of conjugative plasmid carriage in Eschericha coli K12. Genetics 165:1641-1649. Loftie-Eaton, W., Burleigh, S., Simmons, R., Rogers, L., Hunter, S., Settles, M., Ponciano, J.M. and Eva Top. Transposition of a toxin-antitoxin system and plasmid-host coevolution increase plasmid persistence and host range. In preparation. This entry was posted in BEACON Researchers at Work and tagged antibiotic resistance, BEACON Researchers at Work, Biological Evolution, drug resistance, genetics, host-parasite coevolution, plasmid. Bookmark the permalink.